Post news Report RSS	Unity giveaway contest finalists! A few weeks ago IndieDB launched and with the help of our friends over at Unity 3D we ran a competition to give away a Unity Pro and a Unity iPhone licence worth over $3500! Since then we have had countless submissions ranging from brand new start-ups to full fledged releases all of which are unique and visually stunning. A few weeks ago we launched IndieDB, and with the help of our friends over at Unity 3D we ran a simple competition to give away a Unity Pro and a Unity iPhone licence worth over $3500! Since then we have had countless submissions ranging from brand new start-ups to full fledged releases all of which are unique and visually stunning. 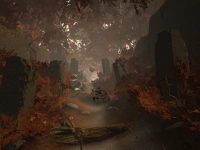 Before we tell you who the winners are we would like to show you the top entries in the Unity giveaway, remember entries where judged on creativity and dedication to the project and needed to be an original concept while not based on an existing IP. 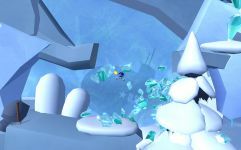 Bloom is a vertical slice pitch demo for a game, produced as part of a course at Futuregames Academy in Stockholm, Sweden.The demo was developed by a group of eight students in about six weeks, using primarily Unity and Maya. At the end of the course, this project was, in competition with several other projects, awarded the first prize by an industry jury. A thirdperson action adventure game about space pirates! ..You know pirates .. but in space! The game has been in development for almost 2 years now, but actual real productive full-time work has only happened for roughly 3 month so far. 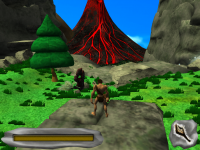 We are hoping to release a free prototype before the end of the summer! 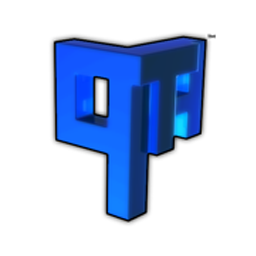 This prototype will include 3-4 levels and be beatable in roughly 20 minutes. Ayla is a decendant of an ancient great empire that once created a device that could manipulate gravity, but their careless use of it shifted the world violently out of balance. The device was sealed away in a great temple for decades but as an alien threat has come to seek the power that once shook the universe Ayla decides to take the device to the planets core and use it to fight off the attackers. 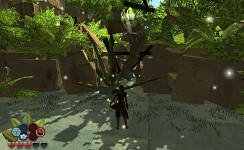 Mirage is a demo developed by eight students as an assignment at Futuregames Academy in Stockholm, Sweden. The total development time for the project was six weeks. 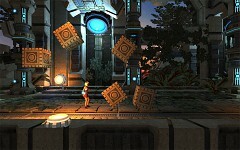 In Mirage the player is tasked to control a swarm of glass through a hazardous and mysterious world. The goal of this journey is to try and piece together a mirror which has shattered. This in turn will hopefully return the world to its normal state. At the dawn of time, man ventured the world, freely and open. Now the Ice Age is coming. Warned by ancient ancestors, Kon man of the wild is tasked with preparing himself and man for the on-coming endless winter. Adventure as Kon to the highest peak and to the deepest darkest bowels of the earth and conquer any colossal beast or creature that crosses your path. 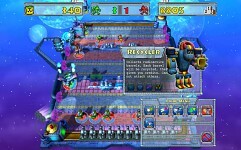 Power Of Defense provides a new strategy and defense mix game experience. 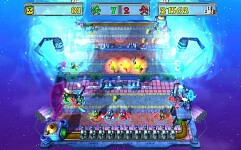 Defend your world from upoming evil and oil-smelling robots. They come from the platform between both parallel universes you have to fight on by producing own robots to send them back to their native world. You as the last hero on earth and the only one your government could find (and pay), only you can save the world. 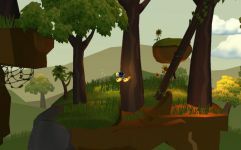 Welcome to Seed Pod Shuffle, a place of exotic creatures and challenging puzzles. 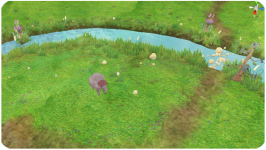 Use your match 3 skills to grow plants, attract animals, and help a lost little creature called Jasmine build a home in time for winter. 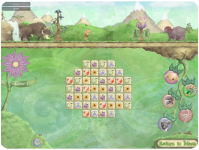 Seed Pod Shuffle features over 80 challenging puzzle boards that can be played in a whole range of different ways. Create sets of matching symbols, smash through brambles rocks and ice, and find new seeds to plant in your own little slice of the great outdoors. 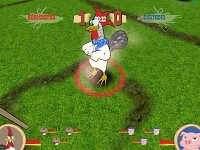 A capture-the-flag game in which the player controls farm animals to pursue the other team's golden cob. 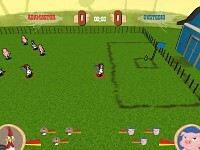 The player must capture the cob in the other team's base and bring it back to his, avoiding being hit too many times and dropping the cob. 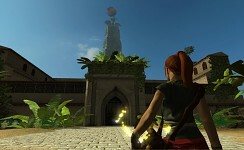 The game is under development as a part time project of a seven people team. 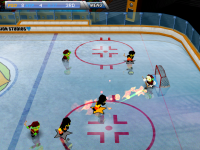 This Arcade Style Ice-Hockey game features old school inspired 8-bit music and classic gameplay, but is updated with fast-paced action and 3D graphics that are enhanced through the use of on-ice Power-Up Icons. These enable crazy-fast slap-shots, lightning-quick skating, and extra powerful checking. As you can see its going to be very tough to pick a winner, you should check out each one as most profiles have videos and even some early demo's you can have a play with. 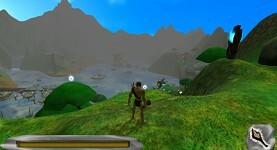 Which of these projects do you think should take away a copy of Unity Pro or iPhone? We would love to hear what you think! Well, even though our game didn't get on the list, great job to all those who did! Tough decision still with the list narrowed down. Hard competition. It's a pretty darn good prize and there were 50+ entries so very tough competition. The unity team are awesome so we hope this is only the beginning of work and promotions we complete with them. Will there be another giveaway? Bloom, Mirage, Ayla. Others are very nice, too, especially The Hockey Experiment. Congratulations to all the contestants and of course to the winers! Loads. Fortunately, the version 3 is coming on the way, more goodies in the paid version. Well, he could always shoot for Indie Fund. That's what we're doing for The Last Ball. How do you get Indie fund anyway? 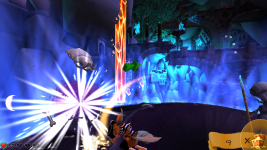 We could go ahead and submit right now, but we're working on a 3 level prototype to submit in as well. Interesting. Probably you could make an indie with the setting inside your own home/local city (along with cultural references) and get funding from the local government, too. There's no Sarahs Run. Too bad, it's great game. Damn it, what have you done?!? Now I have to spend the whole afternoon checking out these awesome looking games :). Congrats to the finalists and all the participants! What about the other contest? Congratz to the top 10 and all the other contestants! I'm really happy to have Ranch Wars as a finalist! Didn't stop refreshing my browser yesterday every 15 secods until now :D!!!! It feels great to be among the finalists and looking at the quality of the competetion I must say it is quite an honor! I'd just like to say that my entire group is very happy to have been selected as a finalist. All of our competition looks really good as well. It's also nice to see all of our classmates here. We too are very excited to have been nominated as a finalist! There are some great looking games up there with ours and it certainly will be a tough competition. Best of luck to the other Developers!!! Great work by all contestants! I'm very honored to have been selected to the finals and I'm sure the rest of my group is jumping up and down as well. A lot of great games here so the jury's gonna have some tough decisions to make. I feel honored to be among the finalists. Great work from everyone. Good luck to all contesters! Yep, as other have said it really is an honour, not to mention a very pleasant confidence boost! Everyone get your spiked clubs out for the final round battle! GRAAAAR! 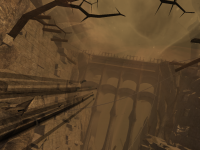 This is really great to see all these awesome Unity projects! Congrats to all and really looking forward to playing these! The problem is they're all so good, I would have shot myself if I had to run tht competition, or resigned. Seriously this is some material that looks like it's beating the current trend of games being released. Professional lookin' games on that list o.o! Wow every single one of these look great!!!! I don't envy you having to choose. The other three that really stand out for me are Bloom, Ayla and Bob came in pieces. I like the gameplay mechanics in all of these. But seriously every single one is amazing and these 4 are just the ones that grab my attention personally. Great work to everyone involved! Some great looking games there. They all look fantastic, Mirage having the most intriguing premise. May the best game win!